There is no Dönner Kebab in America? Here it's a very commonly eaten 'junkfood' (though it is much much better than stuff like McDonalds, so junkfood is perhaps a bit too derogatory). Shopping streets in larger cities usually have so many kebab shops, that when you stand at one of them you can already see the other one easily. 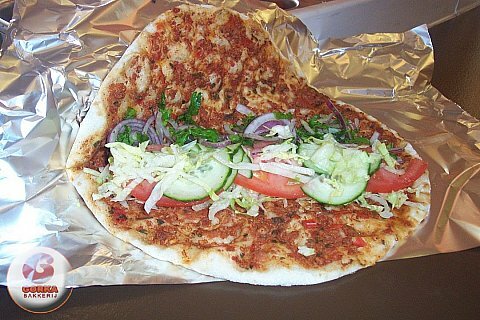 For lunch I often take a 'turkish pizza', which is actually just a wrap like thing filled with salad and spicy sauce. Though probably not the most healthy food on earth, I at least don't feel guilty after eating it. IT's also quite cheap. My favorite kebab shop also sells weed. My favorite weed dealer also sells kebab. 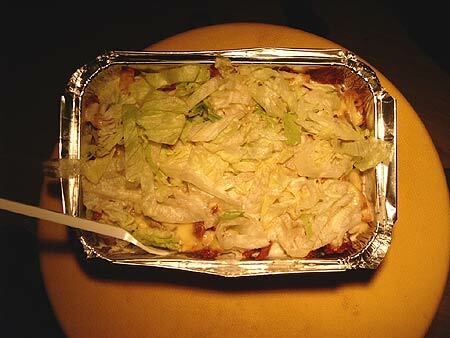 Korts wrote: My favorite kebab shop also sells weed. My favorite weed dealer also sells kebab. Yesterday we had some simple, honest and delicious food. I find these fish the most attractive and delicious looking of all fish. Look at that cuteness ! Don't you just want to bite into it? Good news is that it actually is very delicious, slightly reminiscent of salmon but with white flesh instead of pink. It's also a very forgiving fish to cook, and as long as it's fresh, very tasteful. As for fish bones, assuming you're eating one fish per person, while eating the top half you will experience some bones, but after a certain point you can easily remove the entire skeleton and continue eating your now boneless fish. You could also slice them and stuff with herbs before cooking, prepare the fish then remove the skeleton out of the cooked fish. Perhaps I should do that next time. In any case, we pre-boiled some potatoes and broccoli, put some onions in an oven dish, bake in the oven, then put in potato slices, the two fish and the broccoli, then bake until done. On top op the fish we put some slices of lemon, which gave a very subtle flavor to the fish; I don't like too strong a lemon taste, so this was enough. The slices of lemon, which dried in the oven, were also tasty to just eat like that, because most of the sour juice had escaped. You can vary by putting some tomato sauce on the fish. Really, you can do anything with a dish like this. Is that a Sea Robin? I've seen some gourmet shows using it, but it looks like a lot of effort to clean for what is essentially a whitefish. I'd much rather use walleye or perch, but that's just my preference for cheaper, delicious fish coming through. Did you catch them yourself, sirdan? Hah, it'd be my biggest dream to be able to catch fish like that myself... my fishing abilities don't go further than collecting these kind of sea snails off the coast in my town. And yes they are edible. 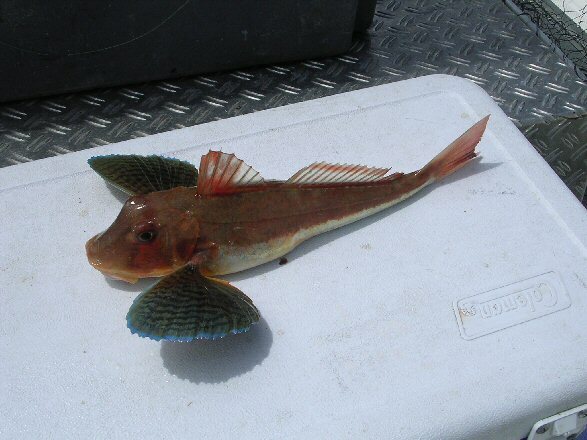 Anyway, that fish is a "gurnard". It's not that expensive: 9 euros per kilo or so. For some reason fresh fish is quite expensive here; the only fish that are cheaper are flat, bottom dwelling white fish like these. These are usually pan-fried. Also very delicious. I have never tried perch, but it's a freshwater fish and I generally find that I prefer saltwater over freshwater fish. Walleye is not even available here, I think. I do like salmon and trout, though. And of course eel, which is a delicacy. Other seafood we eat are mostly mussels; delicious, and we can cheaply get high quality. Then there's salted raw herring and smoked fish like smoked mackerel, smoked herring, smoked halibut. None of these are eaten for dinner as a part of the meal, but usually with bread for lunch. Do you bake it in a water bath? 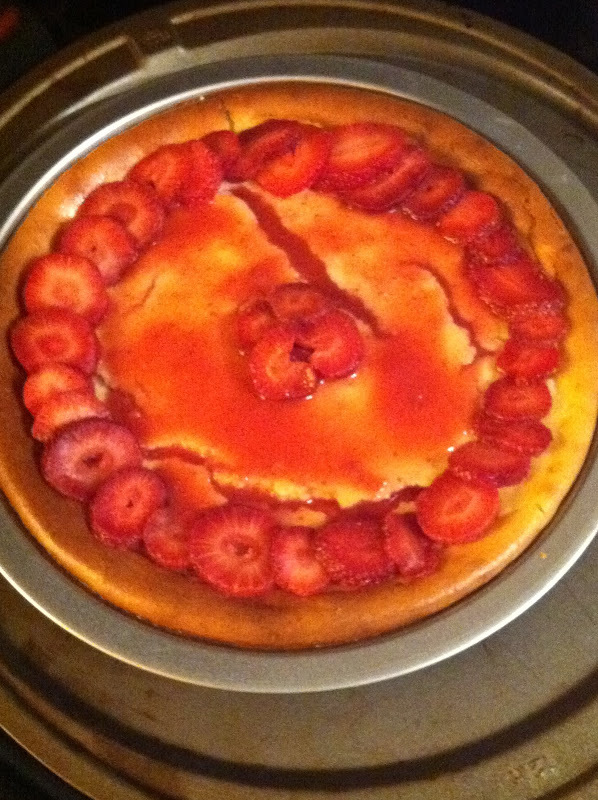 that helps if you can create a REALLY good seal (I usually tightly wrap my cheesecake pan in saran wrap and tin foil) place this in another pan, fill the water level to 1/2 way up the side op the cheesecake pan, and still bake long and low. another thing that helps, is like with quiche, take it out of the oven while it still jiggles and leave it to finish by after-bake in a relatively warm spot in your kitchen. Xine wrote: Do you bake it in a water bath? that helps if you can create a REALLY good seal (I usually tightly wrap my cheesecake pan in saran wrap and tin foil) place this in another pan, fill the water level to 1/2 way up the side op the cheesecake pan, and still bake long and low. Sounds like a perfect smooth top bake was not the primary concern, as the main course takes priority. also, that it's really a presentation thing only. There was no black or dark brown, far from burnt my friend. I would serve it. Lately I've finally learned to get along with salt. Being a Northern California Hippie girl, I have never cooked with much salt. I figured, enough people have "low sodium diets" that it would be proper to under-salt, and make sure the table has a salt shaker. recently, I've been embracing the fact that cooking with salt improves flavor more then adding salt to the top later. Alright, so I figured that this would be a good advertisement spot. I would like a judge or two for a food-related Mish Mash game I'm cooking up (sorry, bad pun), whih is going to be similar to "America's Next Great Restaurant". PM me if interested, or post here. I'll try to remember to look in the thread every so often. So I set my eggs on fire. This was a suboptimal result. I had to have hot dogs, instead. Sudo, I can't fathom a way in which you could literally cause eggs to combust, but I am fascinated to hear this story. bv310 wrote: Sudo, I can't fathom a way in which you could literally cause eggs to combust, but I am fascinated to hear this story. This. I dont think i could get eggs on fire if I tried. That could make a good band name though. I was trying to fry the eggs, and I think I used too much grease. I'm not good with gas burners.